Using a framework is a good thing. Making the right choice is even better. Here are six good reasons to use Symfony from a strategic point of view. Quickly adopted by professionals active in this field following its launch in 2005, Symfony today is a stable environment that is both well-known and recognized internationally. The number of its references attests to this, as they have grown significantly since its launch. Symfony is also an active community; developers, integrators, users and other contributors who participate in the on-going enrichment of this tool. Behind Symfony there is a company: SensioLabs. Created more than 20 years ago, SensioLabs is a web agency that has many major accounts among its references. Envisioned for its own needs, the Symfony framework is today still the daily tool used by its own teams to develop customer projects. Designed by professionals for professionals, Symfony is first and foremost a pragmatic tool, the features of which address real-world-requirements. Intranets, major general public sites, social networks, community sites, management and workflow applications, etc. Examples are not lacking: Hundreds of sites and applications of all sizes and of all types trust Symfony. This is specifically the case of Yahoo!, Dailymotion, Opensky.com, Exercise.com and even applications such as phpBB and Drupal. Symfony is everything that you would come to expect from a framework: speed, flexibility, reusable components, etc. Then there is the structure of what has been developed and the use of best practices. Not bad! But that is not all! Since SensioLabs has developed a habit of shaking up the established order and is always striving for excellence, Symfony (and its entire community) has developed a sense of curiosity that goes well beyond PHP. And we do not hesitate to innovate by seeking out ideas elsewhere and then adapt them to the world of PHP, such as dependency injection from the Java world. In addition, Symfony, seeking out ongoing improvement in the productivity of developers, envisioned the “web debug toolbar,” taken from other frameworks, whether PHP or otherwise. 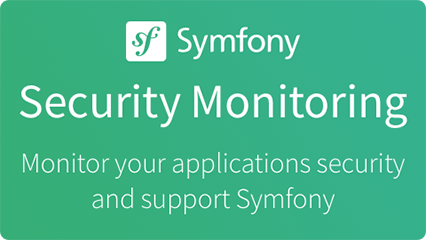 When using Symfony, you are assured of never “being alone with your screen.” Whether a question of community support (mailings lists, IRC, etc.) or company support (consulting, training, etc. ), you will always find the answers to your questions. Starting from the principle that “an undocumented line is a line that does not exist,” you will also find many works dedicated to Symfony, which will help you throughout the development of your sites and applications. The idea behind Symfony: Don’t lock yourself up within Symfony! Allow yourself to build applications that precisely meets your needs! Symfony respects the existing “de facto standards” of PHP: PHPUnit, naming conventions for classes, etc. Furthermore, Symfony also allows you to use certain pieces of its software building blocks (dependency injector, translations management, forms management, etc.) without necessarily using the framework in its entirety. By the way, Symfony is so interoperable that, at the core, it uses external software building blocks itself (ORM Doctrine, Swiftmailer, etc.)! 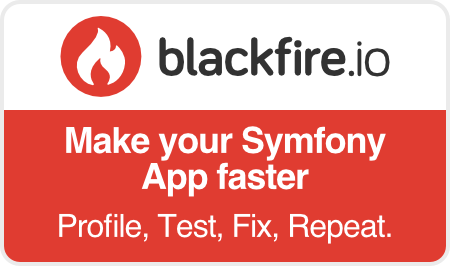 You can’t go wrong by choosing Symfony! And no one has ever been fired for using Symfony.